Winston Dookeran, former Trinidad Minister of Finance: CLICO funded CL Financial’s disasterous expansion. CLICO Scandal: Leroy Parris charged criminally, Former PM David Thompson law firm money-laundered millions from CLICO to Parris: How much came back to Thompson & DLP? It gets worse, much worse. Former PM David Thompson was in the the thick of it in August 2007, prior to being elected. Thompson’s law firm took 4% of the purchase of CLICO’s new business jet for ‘legal fees’. We told you so, folks. We told you. PM Thompson said DLP use of CLICO's business jet was none of your business, but policy holders didn't know just how dearly it was costing them. We all knew the relationship between Parris, Thompson and the DLP was dirty. Now, as they say, you can take it to the bank… except the bank is empty. 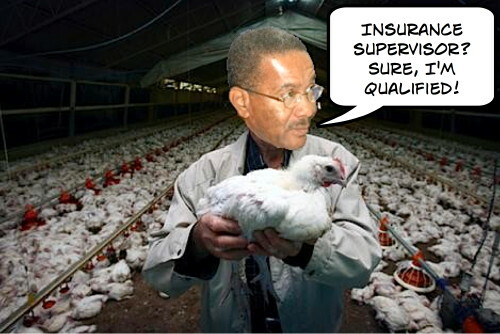 Late Prime Minister David Thompson’s law firm received a whopping $3.3 million in legal and retainer fees from CLICO International Life Insurance Limited (CIL), but the fees were actually destined for former CLICO executive chairman Leroy Parris. This was among the explosive revelations of the Deloitte Canada-led forensic audit into the operations of the insurance company and its financial relationship to the parent company – CLICO Holdings Barbados Limited (CHBL) – and other members of the local CLICO empire. Criminal charges have been filed in the magistrates’ court against former executive chairman of CLICO Holdings (Barbados) Limited, Leroy Parris, and current president Terrence Thornhill. Official police sources have told the MIDWEEK NATION that the two executives are to be served with summonses to appear in court. They are accused of contravening an order by the Supervisor of Insurance in August 2009, which prohibited the company’s subsidiary CLICO International Life Insurance (CIL) from selling new business. Our friend Afra Raymond as interviewed by Fazeer Mohammed on Morning Edition television, March 24, 2011. No word yet on whether the Colman Commission will grant standing to Afra. If Afra does get standing, he’ll be able to ask questions – and then, look out! Swearing in Ceremony - Senator Jepter Ince promises to protect Clico's interests, come what may! Does CLICO still own the David Thompson government? One thing you have to admire about Prime Minister David Thompson – he never forgets his friends. Thompson has not forgotten all those long years when CLICO and CEO Leroy Parris supported the losing DLP Democratic Labour Party with campaign donations and supported David Thompson personality by handing CLICO’s legal work to Thompson’s law firm. Yes sir – you can admire loyalty to friends. The problem starts when the friends are now the Barbados government that dispenses your tax dollars to CLICO without transparency or rules about conflicts of interest. Then the friends arrange to place CLICO alumni in strategic positions throughout the government to assist the interests of this “band of brothers”. 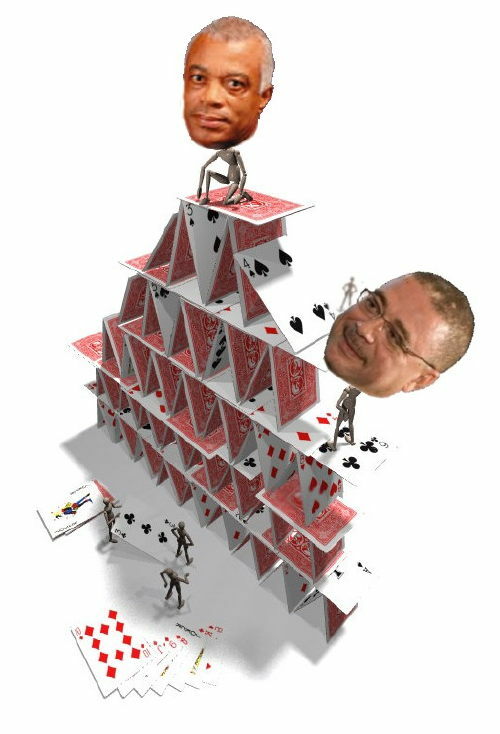 Yup, there is far more to Friday’s appointment of CLICOite Jepter Ince as a new Barbados senator than simply tossing out a perk to an old friend. For Leroy Parris, David Thompson and the CLICO band of brothers, it is about the continued implementation of the strategy to protect their past business dealings from real scrutiny by the public and burned shareholders. 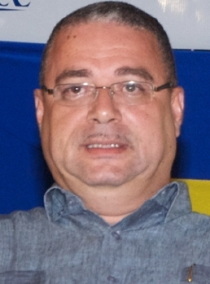 For a start, when Jepter Ince was working for CLICO and advising Barbadians to borrow from Clico Mortgage & Finance Corporation to invest in the Clico Balanced Fund, he and CLICO failed to tell folks that some of the so-called “investments” were into the less than solid “investments” of other CL Financial Group companies. “Investments” like way over-priced Florida swamp land real estate where it is now alleged that senior CL Financial people took millions in kickbacks while Mr. Ince’s clients got screwed. What is the Nature of the Relationship between Leroy Parris of CLICO and Barbados Prime Minister David Thompson? We should be having a public inquiry where Mr. Ince would have to answer questions about his actions, the actions of the companies he worked for and the actions of the other senior CLICO allumni who worked with him. But that isn’t going to happen, friends. BARBADOS has a new Senator. 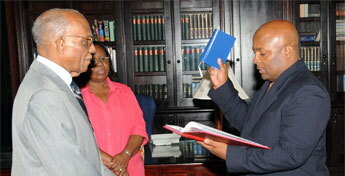 He is financial consultant, Jepter Ince, who was sworn in yesterday in a brief ceremony at Government House.